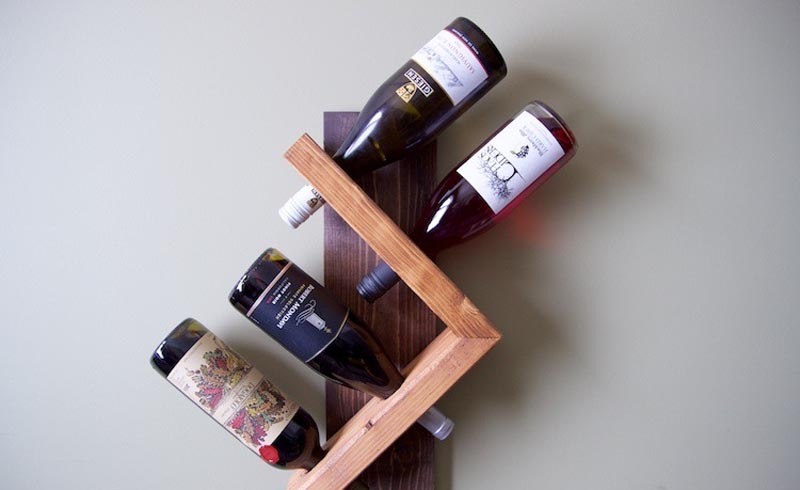 Feature your wine collection on your wall with this one-hour wine rack. 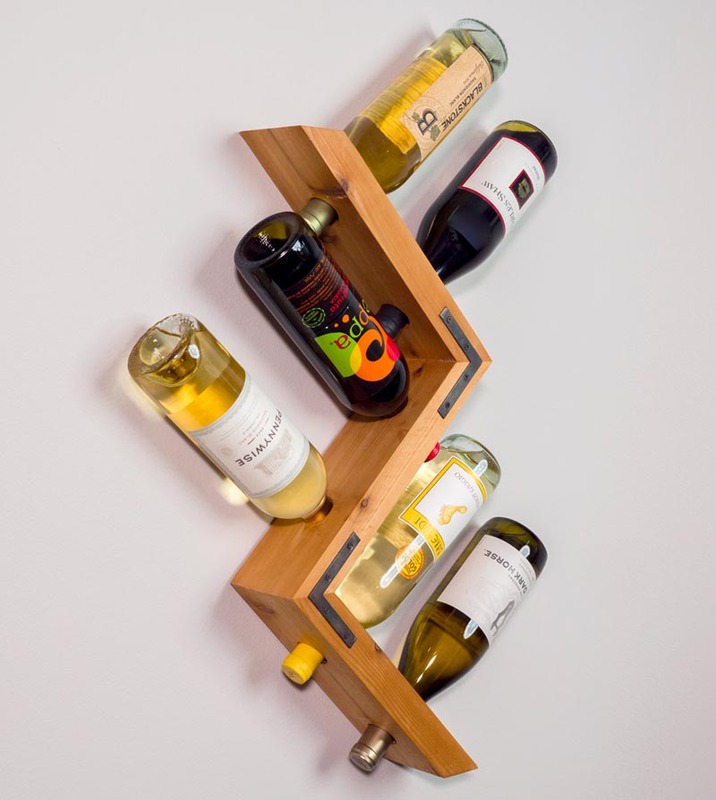 This super-simple wall-mounted wine rack is customizable and really easy to build. You can get it done in an afternoon! 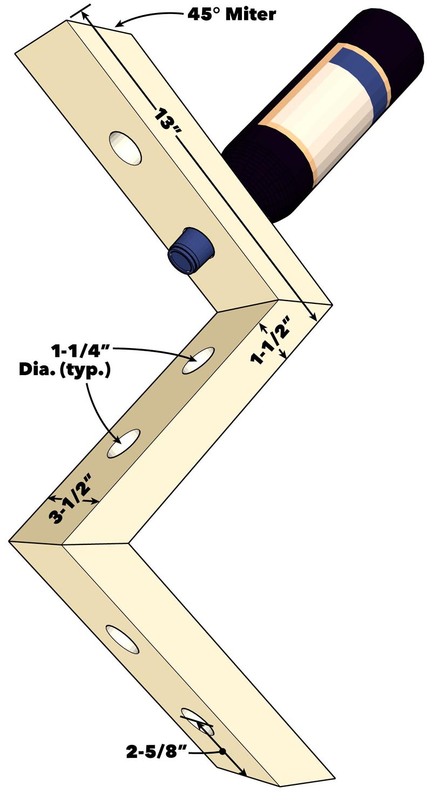 Cut a 45-degree miter at the end of the 2x4, measure 13-in. 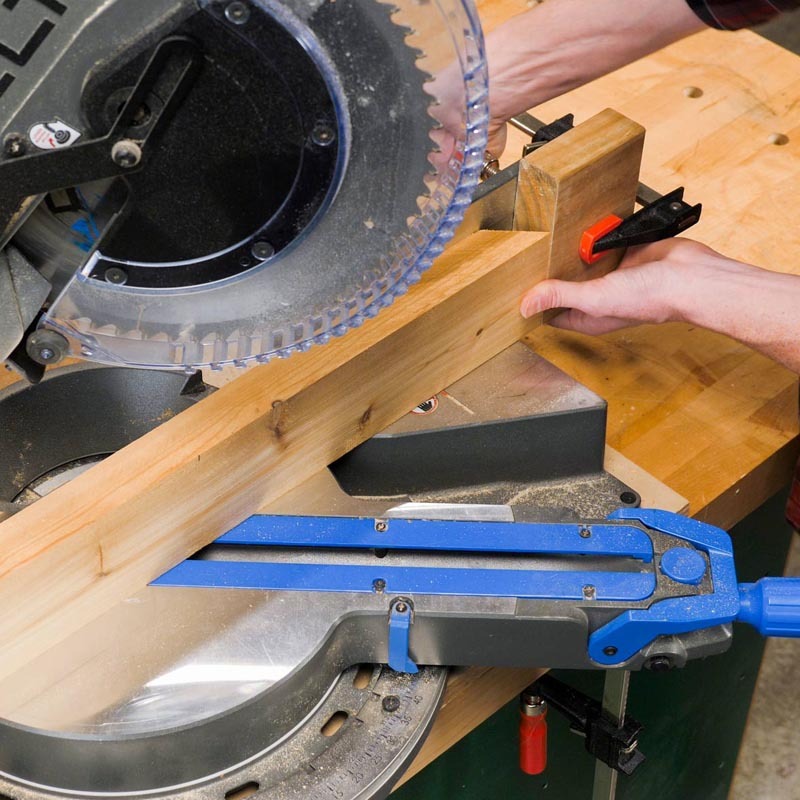 from the long end and clamp a stop board to the miter saw fence for the remaining cuts. Cut as many parts as you like. Our rack has three. Center marks at 3-1/8-in and 6-7/8-in. from the short end one of the mitered ends. 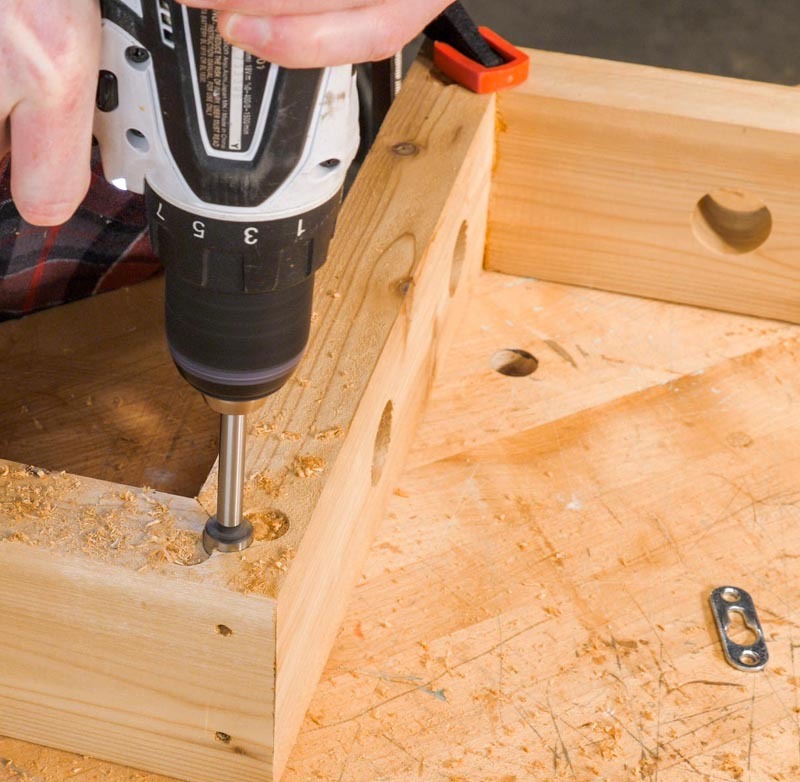 Drill bottleneck holes at those marks using a 1-1/4-in. Forstner bit with a sacrificial board underneath, to prevent blowout. Tape the end miters together. Glue the ends. 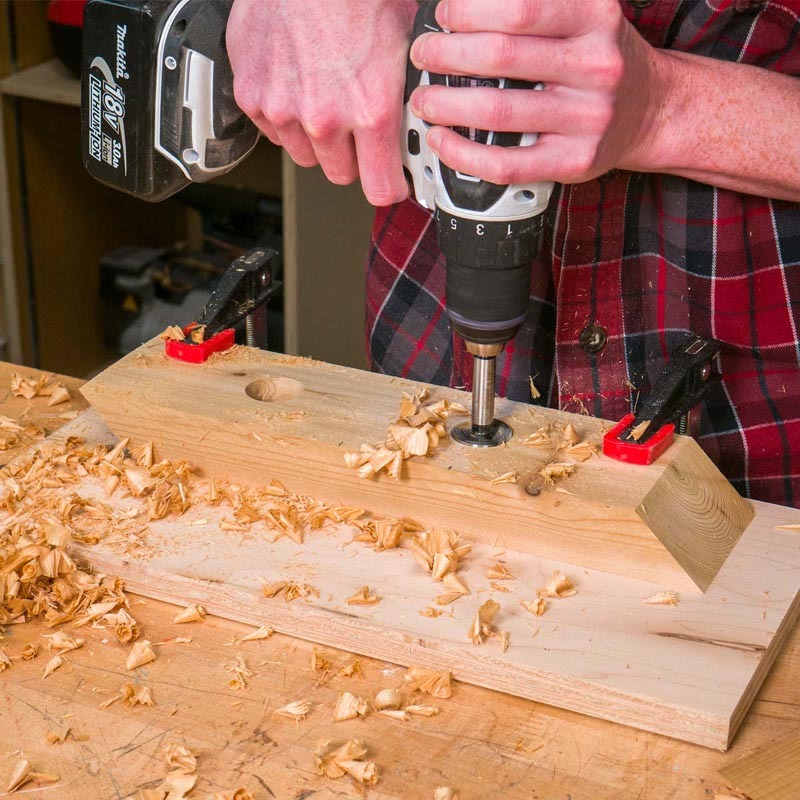 Drill pilot holes and fasten the parts together with 2-1/2-in. screws. Apply a finish of your choice and let the rack dry. Trace the keyhole hangers on the joints, positioned so that they’ll be vertical once mounted. Drill 1/8-in. deep holes with a 5/8-in. Forstner bit to create the arced ends of the recesses. 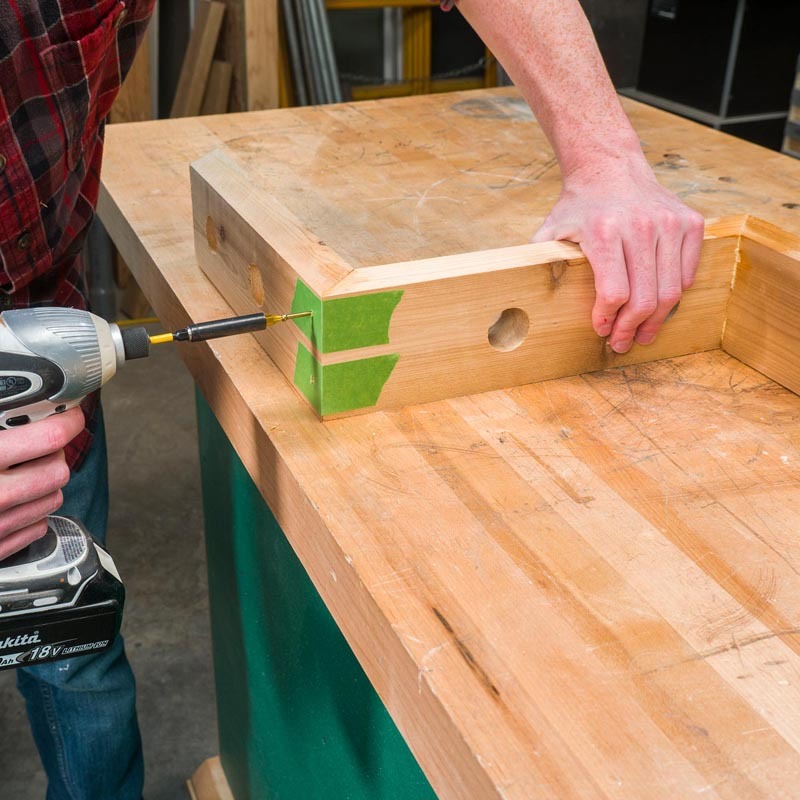 Chisel out the waste between the two holes, and then drill a 3/8-in. deep hole with the same bit in between the other holes for screw clearance. Fasten the keyhole hangers into the recesses. 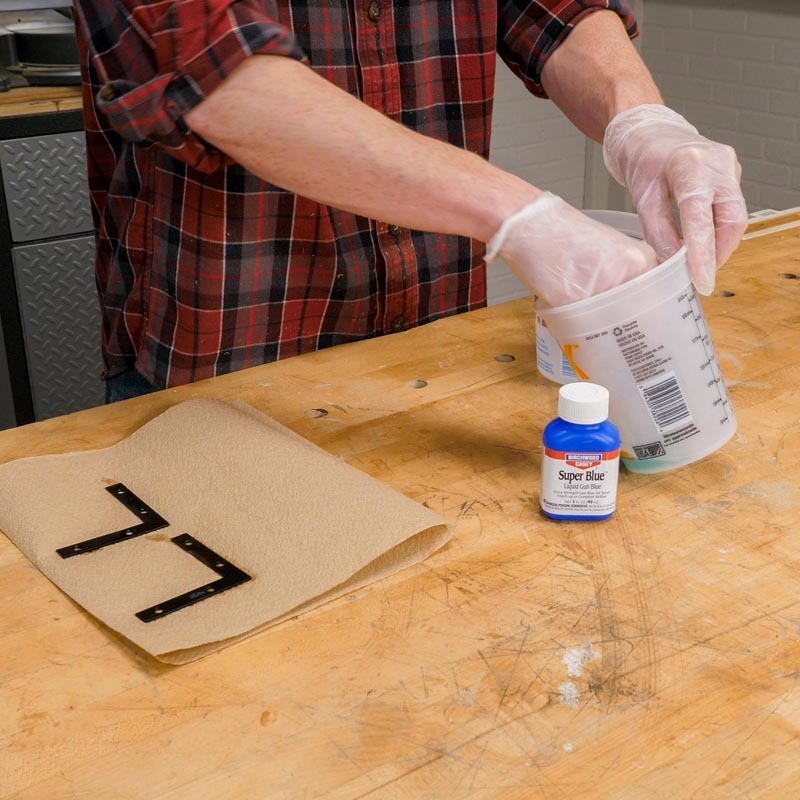 Dunk the corner braces and screws in a cup of gun blue until the parts turn black. Rinse the parts in clean water and dry them with paper towel. Screw the braces onto the edges of both joints. 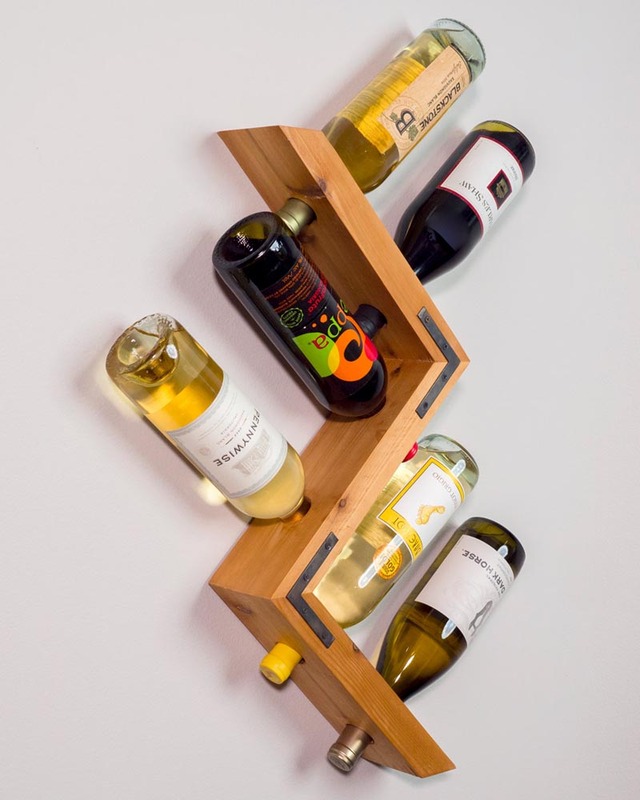 Position the rack on the wall, using a level with a 45-degree bubble on one of the shelves. When the shelf is plumb, lightly mark one of the rack’s corners on the wall. Put a dab of toothpaste on each keyhole hanger, where the screw will be. 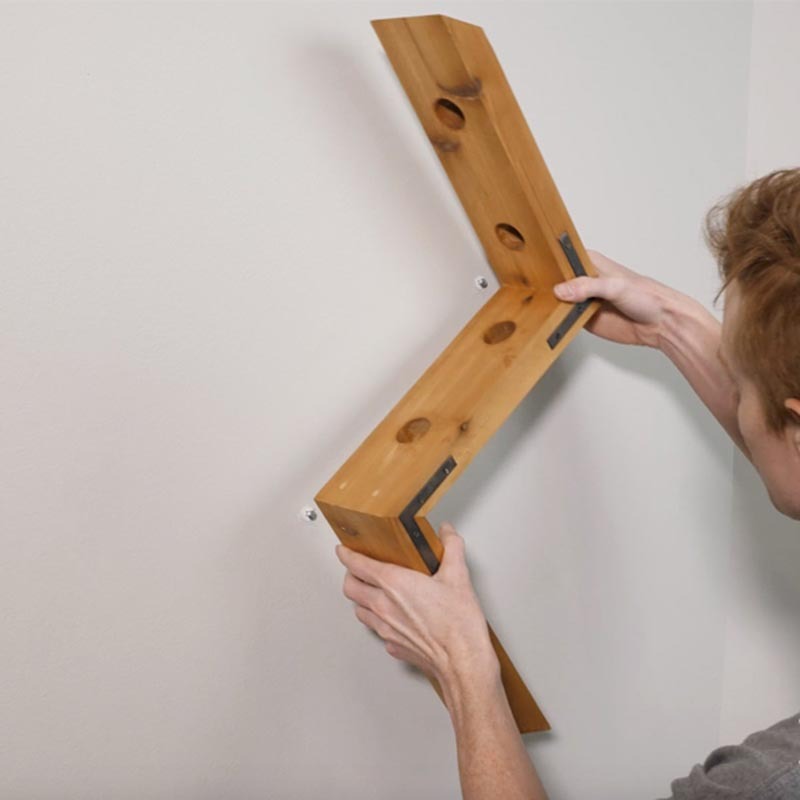 Using the mark you made on the wall to position the rack, press the rack against the wall. The toothpaste marks the wall anchor locations. Screw in the hollow-wall anchors, drive the screws into the anchors and then hang the rack on the screws.